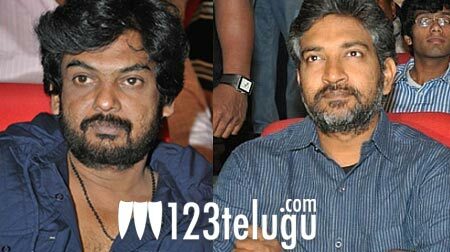 Rajamouli wants to learn direction from Puri Jagan. This stunning statement was made by none other than Rajamouli himself. Speaking on stage at the audio launch venue of Prince Mahesh Babu’s ‘Businessman’, Rajamouli said that he admires Puri Jagan for his extremely rapid film making. “My wife says that I need to go and learn the art of quick movie making from you Jagan. I spend a year or two to come up with a movie and you create a movie with that same level of impact in a matter of months. I would like to join you as an assistant director for two days when you start your next venture” , said Rajamouli. A very happy and slightly embarrassed Puri Jagan was quick to give Rajamouli his own credit and invited Rajamouli to be on the set for his next venture.